Authorities believe the suspect is the sole person responsible for the Los Angeles International Airport shooting. At least one TSA agent is dead and a motive for the shooting remains unclear. Clues on a possible motive for an armed assault at Los Angeles International Airport emerged Saturday, with reports that the suspect was carrying a “manifesto” associated with the antigovernment “patriot” movement and a note saying he intended to murder at least one Transportation Security Administration officer. Paul Anthony Ciancia, in a photo from his California driver's license. 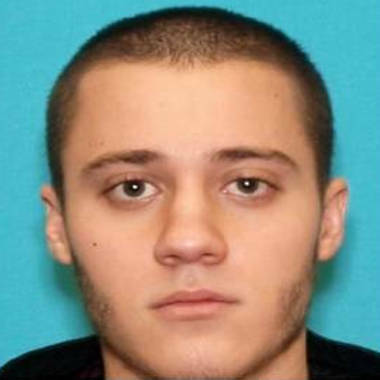 The Associated Press, quoting a law enforcement official briefed on the investigation, reported that suspect Paul Anthony Ciancia, 23, said in the note found in the duffel bag he carried into the airport on Friday that he wasn’t targeting a specific TSA employee. “Black, white, yellow, brown, I don’t discriminate,” the note read, according to a paraphrase by the law enforcement official, who spoke to the AP on condition of anonymity. Ciancia was charged Saturday with murder of a federal officer and commission of violence at an international airport. A federal criminal complaint said that Ciancia also shot at least two other uniformed TSA employees and a civilian passenger. It was not immediately clear why Ciancia wanted to lash out at the agency, but a leading organization that tracks U.S. hate groups and extremist organizations reported Saturday that the suspect may have been influenced by propaganda of the antigovernment “patriot” movement and fringe conspiracy theories. As reported Friday by NBC News, the suspect was carrying anti-government literature outlining an alleged conspiracy to create a single global government, possibly prepared by a group known as the "New World Order," when he opened fire on workers with the Transportation Safety Administration, killing one and injuring several others. Citing a knowledgeable source with ranking law enforcement contacts, Potok said Ciancia also had a note containing derogatory comments about former Department of Homeland Security Secretary Janet Napolitano. People associated with the patriot movement “see the DHS … as an enemy and even a collaborator in the New World Order conspiracy,” he added. The TSA is an agency of the DHS. Potok said that the Southern Poverty Law Center has no records of Ciancia, and that he is not known to have "joined or participated in the activities of any radical groups." Authorities have not indicated whether they have determined a motive for the attack. Ciancia lived in southern New Jersey before moving to California in 2009. The source involved in the investigation said Ciancia became estranged from his father after the father became involved with a woman Ciancia did not find acceptable, and the estrangement was completed when Cicancia moved west. Authorities said the gunman entered the secure area of the airport through a gateway normally used by travelers exiting the terminal, pulled out a semiautomatic .223-caliber rifle and opened fire on unarmed TSA workers at a checkpoint. The criminal complaint says that Ciancia shot the TSA agent who was killed, then began walking up an escalator but returned to shoot the agent again. Still firing, he continued walking through Terminal 3 of the airport, where police shot him several times in the chest. He was taken into custody in critical condition. The TSA confirmed the identity of the slain officer as 39-year-old Gerardo I. Hernandez, according to an agency official. Hernandez is the first officer to have been killed in the line of duty in the agency's 12-year history. Terminal 3 of the Los Angeles International Airport remained a crime scene Saturday as police and investigators attempted to get answers to why a 23-year-old suspect allegedly entered the airport Friday and opened fire. NBC's Miguel Almaguer reports. Ciancia had sent a suicidal text message to his brother before the shooting and was carrying anti-government material critical of the federal government and the TSA, police said Friday. FBI agents armed with a search warrant scoured Ciancia’s home in the L.A. area late Friday, FBI spokeswoman Laura Eimiller told Reuters. Federal officials told NBC News it was unclear whether the gunman was targeting the TSA workers or was trying to shoot his way farther into the airport. But a witness said the shooter, calmly walking through the terminal with his weapon, approached him with a one-word question. The shooting started about 9:20 a.m. (12:20 p.m. ET) at Terminal 3, which serves Virgin America and other airlines. When the gunfire erupted, travelers who were waiting to snake through the security line abandoned suitcases and hit the ground. "We were just standing there in line, and somebody started shooting," said Nick Pugh, a witness, who told NBC Los Angeles that he heard eight to 10 shots. "Everyone dropped to the floor and started crawling along the ground." The airport said that seven people were injured in all but that the nature of all injuries wasn't clear. Initial analysis shows that first responders arrived at the scene just 60 seconds after the first shots rang out, airport Police Chief Patrick Gannon said at a news conference Saturday afternoon. The shooting brought one of the nation's busiest airports to a standstill. The Federal Aviation Administration grounded flights at LAX, where 1,500 flights take off and land every day. Passengers heading there for departing flights were stuck in colossal traffic jams. Some abandoned their rides and rolled their suitcases the last distance to the airport. Three survivors of the shooting at Los Angeles International Airport told TODAY's Erica Hill of chaos in the moments after a man allegedly entered the airport and opened fire. According to the LAX official Twitter account, 724 scheduled arriving flights were affected, with an estimated 67,850 passengers impacted, while some 826 scheduled departure flights were affected, with an estimated 99,200 passengers impacted. The rest of the flights were held on the ground in Los Angeles or at their originating airports, said Gina Marie Lindsey, executive director of Los Angeles World Airports. The ground stop applied to airports roughly west of and including Denver, officials said. It was imposed shortly after the shooting began and was lifted at 3 p.m. (6 p.m. ET). Terminal 3 had fully reopened to the public 1 p.m. (4 p.m. ET) Saturday, Lindsey said at the news conference. President Barack Obama was briefed on the shooting, the White House said in a statement. Obama called TSA Administrator John Pistole to express his condolences to the family and friends of those injured, including the TSA employee who was killed in the line of duty, a White House official said. Richard Esposito, Erin McClam and Tracy Connor of NBC News contributed to this report.